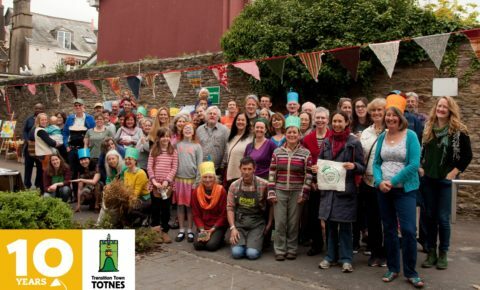 We invite anyone who is interested in Transition Town Totnes and want to play a part in its decision-making processes to become a member. TTT is constituted as both a registered Charity and a Company Limited by Guarantee. It is a requirement of our constitution and company law that we have a defined membership and keep a list of members. To date, “membership” has been a very loose concept, with no record of who is or isn’t a member. Apart from not complying with the constitution, this has other disadvantages. For example, strictly speaking, only “members” are entitled to attend and vote at the AGM. Also, they have a say in the election of directors (ie trustees) and have to approve any changes in the structure of TTT or its objects. Membership is open to anyone who supports the objectives of TTT, it’s free and it simply involves filling off this short, one-off, application form. Membership is free, although any donation you are able to make will be very much appreciated and will help to support the work that we do – you can also sign up as a TTT friend and give a monthly donation. We rely on our monthly donations to help cover the costs of our central team who work hard to support all of TTTs’ projects and groups. Please note, the directors (Trustees) have the discretion to refuse an application if they have reasonable grounds to do so. This would only be exercised in exceptional cases.